Already a Life Member of the WAFL and AFL, Dr Peter D. Tannock AM is one of the most outstanding achievers in the history of the WAAFL. Dr Tannock’s football career began in the University Metropolitan Junior competition in 1959. His ability shone through early and he was made captain-coach midway through the 1959 season, taking them to premiership victory in 1960. In 1961 he moved to the WA Amateur Football League and played one season with the University Amateur Football Club. The following year Dr Tannock moved to Albany High School for work and played with North Albany, winning their best and fairest in his first season. 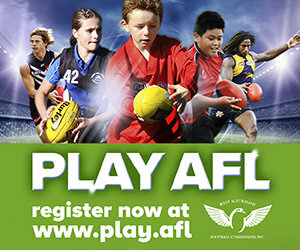 His talents were quickly spotted and the East Perth Football Club invited him to play for them. After four seasons at East Perth, playing alongside of the game’s greatest players and being selected for the 1966 WA state team, Dr Tannock moved to the United States to pursue his career. Upon returning to Western Australia, Dr Tannock was appointed captain-coach of University Amateur Football Clubs A Grade team in 1969, 1970 and 1971, winning the 1969 and 1970 Premierships and earning selection as captain-coach of the 1970 WA Carnival team. 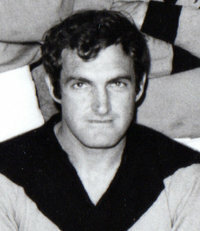 His performances at the Carnival saw him awarded Vice Captaincy of the All Australia side in 1970. Dr Tannock’s football career ended when he was transferred to Canberra as Chairman of the Schools Commission. In 1985 he was appointed to the board of the WAFL and became the Chairman of the Football Development Trust. In 1987 Dr. Tannock played a major part in the organisation of the inaugural VFL license with Indian Pacific and consequently the birth of the West Coast Eagles. Dr. Tannock continued his work with in Western Australian football and in 1989 was appointed the first Chairman of the WA Football Commission where he served for a decade. Outside of football, Dr. Tannock has also been a great achiever, particularly in the education system where he has been a chairman of the Australian Schools Commission and also a director of Catholic Education in Western Australian. Dr Tannock is also a former chairman of the National Catholic Education Commission and played a key role in the enormous expansion of the modern Catholic Education school system, its ethics and its presentation. In 1992 he was appointed Vice Chancellor of the University of Notre Dame Australia and was Professor of Education and Dean of Faculty of Education at the University of Western Australia. He also served on the University Senate and also held fellowships at John Hopkins University, the Australian National University and the University of London. In 2008, Dr Tannock was awarded a papal knighthood – Knight of the Order of St Gregory the Great – in recognition of his lifelong work for the Catholic Education and the Catholic Church. In bestowing the Knighthood the Catholic Arch Bishop noted as part of his contribution to Australia his work in football administration.